With the ever changing negotiations between the Greek government and its creditor’s, one of the key questions to ask is; what is the likely impact on the rest of Europe and the world, if Greece leaves the Euro and defaults on its debts? The Greek economy is very small in relation to the Eurozone. It only makes up about 1% of the total GDP of the currency area. As such, the knock on effects to the Eurozone of the Greek economy sinking even further, are likely to be very limited. The vast majority of Greek government bonds are now owned by international government owned organizations, like the ECB and the IMF. With that in mind, a Greek default is unlikely to trigger a selloff in international banks and bond markets, as we saw in 2008 following the Lehman Crisis. Also unlike the 1998 Russian default, the Greek default has been well anticipated. While the cost of insuring Greek government debt has rocketed, the cost to insure the other PIGS economies Portugal, Ireland and Spain has not changed much. So we are unlikely to see a crisis spread to other European nations. Mario Draghi can potentially print EUR 4 trillion from the European Central Bank and this is like pointing a big bazooka at Europe; hence we are even less likely to see a spike in other European government bond rates. The biggest losers in any potential Greek default would be the other countries that have lent them the money. However Germany is by far the biggest contributor to Greece and has estimated that a Greek default will only cost them around EUR 1 billion per year from 2020 onwards. The assessment in Berlin may well point to the fact that the never ending uncertainty of Greece staying in the Euro is costing even more. This may be the reason that Berlin and others seem completely unwilling to compromise with the current Greek government. While a Greek default will no doubt reduce European investment markets and weaken the Euro itself; it will most likely be a short term drop, leading to a much larger pick up after a few months. Markets hate uncertainty and if Greece is finally out of the Euro, a great deal of uncertainty will be removed. Greece is playing this better than a Shakespearian actor, cut them loose and let them go down. If I default on my mortgage the bank takes my house. 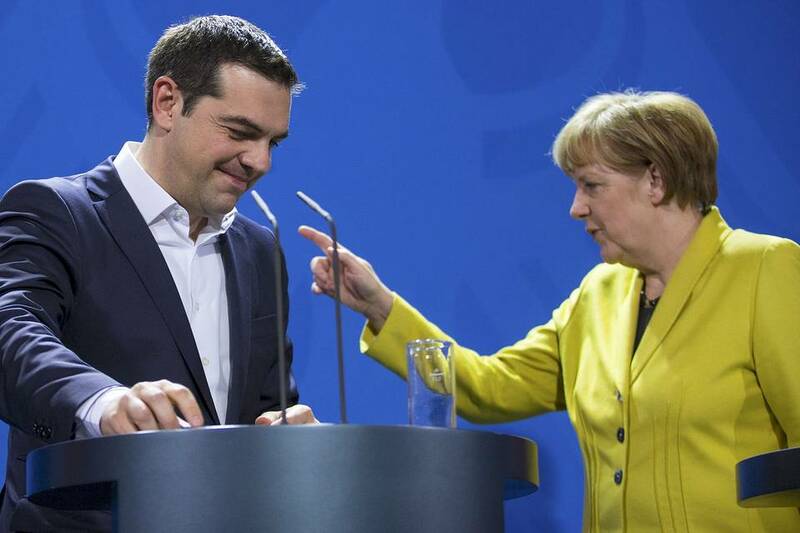 Why do not the creditors take parts of Greece? Most of the debt were based around bond issues, hence the default on the bond means a lost investment altogether or most likely a haircut! Unfortunately your bank has the repossession of your home in the small print. For many the default of a nation accounting for 2.2% of the EU is insignificant and the markets have most likely priced most of their default in; however it does point a very large finger at the basic building blocks of the single currency and I for one am very glad that the UK, did not replace pounds sterling for the Euro. They are giving this Greek exit numerous names, like Grexit……a bigger worry for the EU would be a Brexit, because if the UK do decide to leave, this could cause many more major problems. Greece were begging the EU to be more lenient and to give them a chance, with no strong message of exactly what they can achieve and when. The UK will have a number of guns pointed at the EU and if they decide to negotiate, it will be a completely different kettle of fish!